This week at Just Add Ink we have an inspiration challenge. Here is the photo to get your inpiration from. 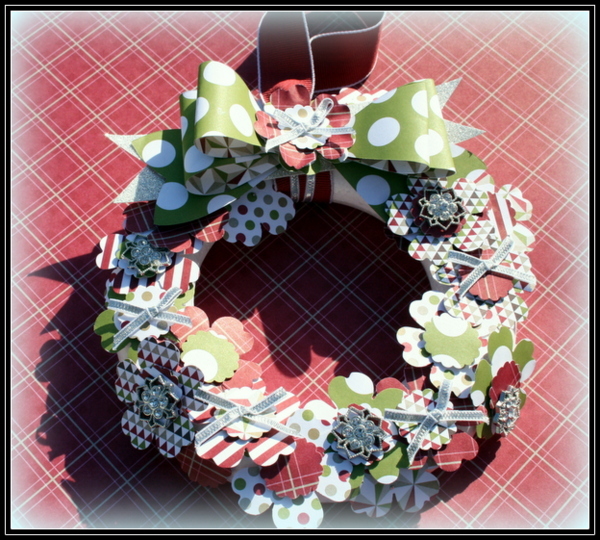 I did a couple of projects for this firstly I made a wreath using the pansy punch and used the bow die..love that die! The polystyrene ring I got from a discount store here in Whakatane and my Edgecumbe class made this last Saturday. Time consuming but oh so enjoyable to make! Then I mistakenly shared it on a facebook group Im on ..lol so I had to make another project. Heres what I came up with .. So much to like in your post. 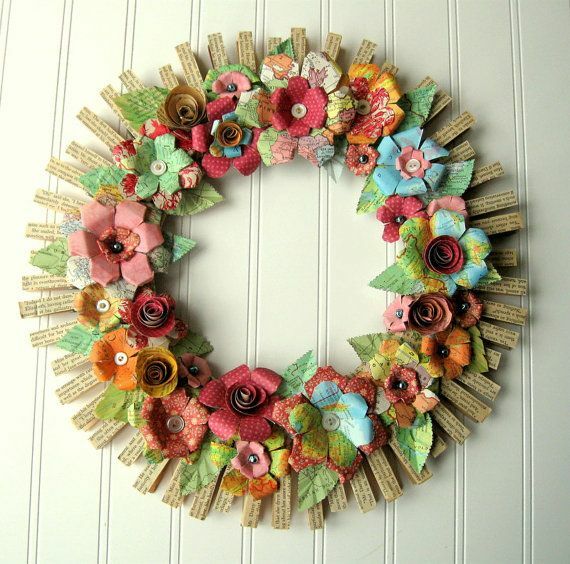 Your wreath is stunning and I can only imagine the work in it, but it is so worth it. 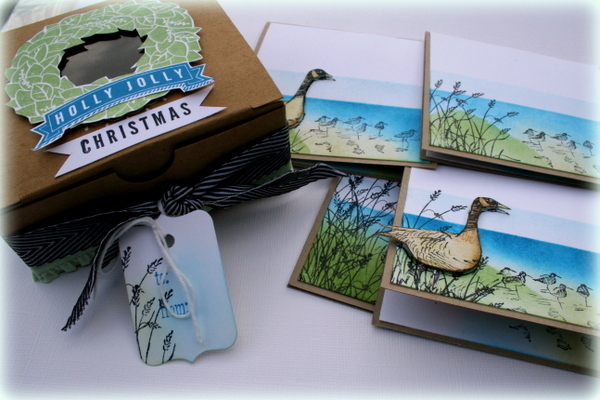 Your set of cards looks terrific too – just adore the wetlands stamp set – and I like the depth of colour you have used. The understated gift tag is perfect. Are they normal sized cards and do they fit in those boxes? Wow; both beautiful projects, Delys. LOVE the pansy wreath, and the little card box is awesome.